In an ever-changing retail landscape, the bar has never been higher for brands to break through. With the availability of new research technologies and methodologies and the increased pressure placed on manufacturers to innovate better and faster, innovation professionals are asking themselves many important questions about their current research practices: Are tried-and-true research methods still relevant? Which new methods should be considered and for what purposes? 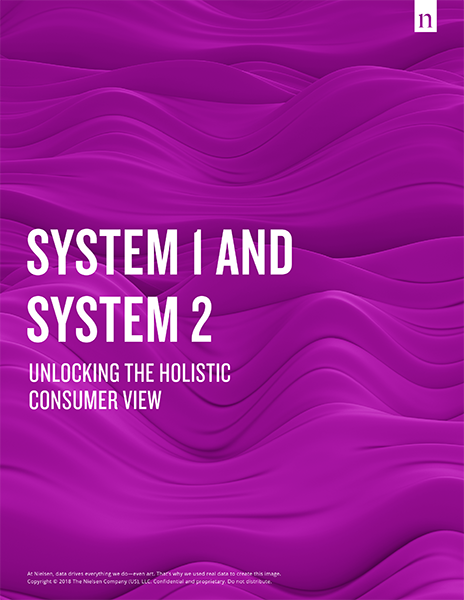 This report provides an overview of System 1 and System 2 methodologies, addresses common questions and misconceptions, and shares how BASES and Nielsen Consumer Neuroscience are joining forces to unlock best practices for capturing a holistic view of the consumer.